Vegetable growers frequently ignore the relationship between nitrogen and organic matter when deciding on the amount of nitrogen to apply to a crop, yet it is extremely important. The dark- coloured clod on the right is from a no-till bed full of humus and nitrogen. By contrast, the clod on the left is from the nearby road. It has a light colour and little humus. A valuable reservoir of nitrogen is humus. The latter should therefore be built up or at least maintained. Humus is formed from raw organic matter by soil organisms. 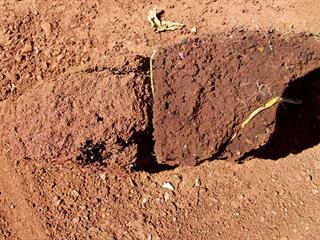 It binds soil particles together to form aggregates, which ensure the correct oxygen level in the soil, water penetration and root development. Humus supports a healthy population of microbes and acts as a sponge, holding more moisture than would otherwise be the case. This is why no-till farmers get an extra two weeks of ‘drought relief’ in dryland crops. As nitrate is negatively charged (an anion), it is not attracted to clay particles and so is subject to leaching. Humus has an anion exchange capacity and therefore can hold some nitrate, which reduces leaching. This is another good reason to increase the humus content of the soil. Humus contains about 10% nitrogen. As this ‘reservoir’ decomposes (mineralises), the nitrogen is released and becomes available to the crop. Obviously, soils containing much humus can release a considerable amount of nitrogen. But ‘normal’ growing practices over-aerate the soil and stimulate soil organisms. These feed on the carbon in humus and release nitrogen in the process. The humus content decreases and eventually the soil becomes compacted, lifeless and difficult to work. 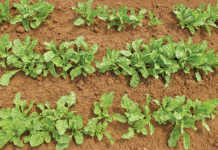 This is why most vegetable growers incorporate manure or compost on occasion – to keep the humus content in equilibrium. Where organic matter is incorporated in normal tillage systems, the new organic matter replaces that which has been mineralised. This produces a steady supply of nitrogen, making crop production easier, although the applied organic material will not meet the nitrogen requirements of all vegetable crops. In short, the higher the humus content of the soil, the easier it is to manage and the less knowledge of complex fertilisation methods is required for success. 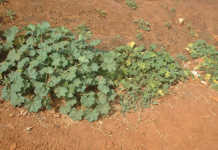 Adding crop residues or green manure crops also helps to replenish the humus. Be warned, though: there will be a period after the organic matter has been incorporated, during which the soil organisms increase dramatically to digest this food source. In doing so, they use the available nitrogen (and other nutrients) in the soil for their own needs. This leaves the plants with insufficient nitrogen until this activity dies down. 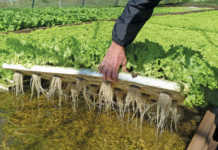 The microbe content of any soil depends on the amount of food available for them to reproduce, and this ebbs and flows. Even excess nitrogen can stimulate the microbes to multiply and start consuming the humus. Therefore do not add microbes to the soil, unless they have a specific function. When crop farmers convert to no-till, they have to take into account the carbon:nitrogen (C:N) ratio of humus, because nitrogen is needed to help build up the humus content. If there is not enough nitrogen, less humus will be formed. For this reason, these farmers have to apply enough nitrogen for the crop’s requirements as well as to convert crop residue to humus. And they must continue to do so until equilibrium is achieved. 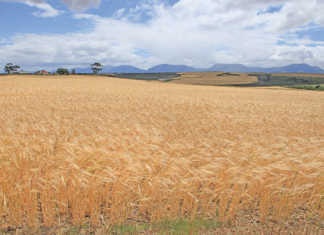 One ton of dry crop residue contains about 400kg of carbon; 140kg of this can be converted to humus. As humus is 50% carbon, this means about 280kg of humus. In sum: 1t dry crop residue = 280kg humus. Apart from legumes, most crops have insufficient nitrogen in the residue to reach the full humus-building potential. Any crop with a C:N ratio greater than 30:1 will need an input of nitrogen over and above the crop requirement to maximise humus formation.